An interview with Prof. Craig Anderson, MD, PhD, Professor of Neurology and Epidemiology, University of New South Wales, about blood pressure management after intravenous thrombolysis treatment. Interviewed by Dr. Mohammad Anadani, MD, Neurology Resident, Medical University of South Carolina. They will be discussing the paper “Intensive blood pressure reduction with intravenous thrombolysis therapy for acute ischaemic stroke (ENCHANTED): an international, randomised, open-label, blinded-endpoint, phase 3 trial,” published in the February 2019 issue of The Lancet. Dr. Anadani: First, I want to thank Prof. Anderson for agreeing to the interview. Prof. Anderson’s research has a significant impact on the stroke field and especially on our understanding of the relationship between blood pressure and outcome after hemorrhagic and ischemic stroke. Prof. Anderson was the lead investigator of the INTERACT 2 trial and the ENCHANTED trial. In this interview, we will discuss the results of the ENCHANTED trial and its implication on clinical practice. Rahman H, Khan SU, Nasir F, Hammad T, Meyer MA, Kaluski E. Optimal Duration of Aspirin Plus Clopidogrel After Ischemic Stroke or Transient Ischemic Attack: A Systematic Review and Meta-Analysis. Stroke. 2019;50:947–953. Through a systemic review and meta-analysis of 10 randomised trials comparing dual antiplatelet therapy (DAPT) with aspirin plus clopidogrel versus aspirin alone in over 15,000 patients with ischaemic stroke (IS) or transient ischaemic attack (TIA), Rahman and colleagues demonstrate that £1 month of DAPT reduces the relative risk of recurrent IS by almost 50% with no increase in major bleeding. In contrast, £3 months of DAPT reduces IS by 28% but increases major bleeding, whilst >3 months of DAPT does not reduce recurrent IS and increases major bleeding. The reduction in risk of recurrent IS with £3 months of DAPT may be due to substantial early benefit within the first few days or weeks. The POINT and CHANCE trials suggest maximum benefit is achieved when DAPT is initiated within the first 24 hours after minor IS or high-risk TIA, which highlights a need for services that allow patients to be reviewed within this timeframe. The risk of bleeding was greater in aspirin naïve patients in analysis of the EXPRESS and FASTER studies, highlighting a need to screen carefully for bleeding risk factors in this group of patients. Better blood pressure control combined with screening and management of bleeding risk factors is essential to ensure benefits from antiplatelet therapy are not offset by increased bleeding. Overall, we can be confident that DAPT is most effective and safe in the early weeks after minor IS or high-risk TIA to reduce the risk of recurrence. Ban VS, El Ahmadieh TY, Aoun SG, Plitt AR, Lyon KA, Eddleman C, et al. Prediction of Outcomes for Ruptured Aneurysm Surgery: The Southwestern Aneurysm Severity Index. Stroke. 2019;50:595–601. Aneurysmal subarachnoid hemorrhage (SAH) accounts for 80% of nontraumatic SAH and is associated with high morbidity and mortality. Severity grading scales have been created, including the Hunt and Hess scale, which predict outcomes independent of treatment. Prognosis following microsurgical intervention not only depends on clinical presentation, but also aneurysm anatomy and comorbidities. The Southwestern Aneurysm Severity Index (SASI) was created to risk stratify patients with ruptured aneurysms for microsurgical treatment. SASI components include clinical features, imaging findings, aneurysm characteristics and re-operation. Boeckh-Behrens T, Pree D, Lummel N, Friedrich B, Maegerlein C, Kreiser K, et al. Vertebral Artery Patency and Thrombectomy in Basilar Artery Occlusions: Is There a Need for Contralateral Flow Arrest? Stroke. 2019;50:389–395. Patients with basilar artery occlusion (BAO) comprise 10-20% of all large vessel occlusion cases but carry high mortality and morbidity rates, reaching up to 95% if recanalization is not achieved. The optimal approach for treatment of this life-threatening condition – including the optimal time-window – is still heavily debated. Mechanical thrombectomy is currently the standard of care for this population in most stroke centers, despite the lack of evidence compared to anterior circulation. Studies up until now showed that some factors are related to better recanalization rates in this population and hence, better prognosis. These variables were hyperdense basilar artery, short thrombus length, early initiation of endovascular therapy and contact aspiration. Some case-reports have also suggested that anatomic and hemodynamic factors related to reversal flow and patency of vertebral arteries could affect recanalization success. The primary objective of this study by Boeckh-Behrens et al. was to to investigate the association between low flow condition contralateral to the catheter-bearing vertebral artery and successful recanalization post-mechanical thrombectomy (MT) in a population individuals with acute basilar artery occlusion. The authors hypothesized that patients with low flow condition defined as either aplastic or hypoplastic vertebral artery (< 50% of the dominant artery) contralateral to the catheter position have more chances to achieve complete recanalization once they have less risk of distal emboli. All patients were subjected to digital subtraction angiography. The complete vertebrobasilar axis recanalization was defined as grade 9 (on a scale of 1 to 9), and it could be achieved with or without residual branch occlusion. Consumption of Artificially Sweetened Beverages (ASB) has been associated with cardiovascular disease risks. In a cohort of postmenopausal US women from the Women’s Health Initiative Observational Study authors of the new study examined the association between ASB consumption and incidence of cardiovascular disease, including coronary heart disease, stroke, and mortality. From among 93,676 women who were part of the Women’s Health Initiative Observational Study (WHI-OS) between 1993 and 1998, the study included 81,714 women, age 50 to 79, who provided information in their estimated ASB consumption. The mean follow-up period of all study participants was 11.9 years from the day of WHI-OS enrollment. Compagne KCJ, van der Sluijs PM, van den Wijngaard IR, Roozenbeek B, Mulder MJHL, van Zwam WH, et al. Endovascular Treatment: The Role of Dominant Caliber M2 Segment Occlusion in Ischemic Stroke. Stroke. 2019;50:419–427. Despite the recently demonstrated benefit of endovascular treatment (EVT) for proximal large vessel occlusion (LVO) of the anterior circulation (ICA and M1), evidence for treatment benefit of more distal occlusions, including the M2 segment of the middle cerebral artery (MCA), is limited, and further studies are necessary to address this question. In addition, the efficacy and safety of EVT in M2 occlusions remain unproven. To determine the efficacy and safety of EVT in M2 occlusions, the authors performed an observational study with data obtained from the MR CLEAN registry. Only patients with a documented M1 or M2 target occlusion on baseline digital subtraction angiography (DSA) were included. Caliber dominance was considered present if 1 M2 branch had a larger diameter than the other on DSA or if the perfusion defect associated with the occluded M2 branch was larger than 50% of MCA territory. Only when the diameters of both the inferior and superior branches were equal and the associated perfusion defect was ≈50% of MCA territory, the branches were considered codominant. DSA-only procedures were cases in which the target occlusion resolved or migrated too distally (M3 or M4 branches) caused by contrast flushing or manipulation with the catheter, without actual performing of intended EVT. Bieber M, Schuhmann MK, Volz J, Kumar GJ, Vaidya JR, Nieswandt, et al. Description of a Novel Phosphodiesterase (PDE)-3 Inhibitor Protecting Mice From Ischemic Stroke Independent From Platelet Function. Stroke. 2018;50:478–486. Inhibition of phosphodiesterase-3 (PDE-3) in platelets increases intracellular cAMP levels resulting in blockage of platelet aggregation induced by collagen, adenosine diphosphate, arachidonic acid, and epinephrine. In addition, PDE-3 inhibitors have a pleiotropic effect over blood vessels, which include arteriolar vasodilation, endothelial repair, smooth muscle anti-proliferative effect, and reduction of endothelial inflammatory response. Although considered to have a central antiplatelet mechanism of action, PDE-3 inhibitors exert its vascular protective effect through the diverse therapeutic targets listed above. Cilostazol, a PDE-3 inhibitor prototype, is often used chronically in patients with peripheral vascular disease, as well as for coronary artery disease and stroke secondary prevention, particularly in Asian countries. There is growing evidence on the long-term efficacy and safety of cilostazol used among patients with non-cardioembolic stroke, especially when used in combination with aspirin or clopidogrel. 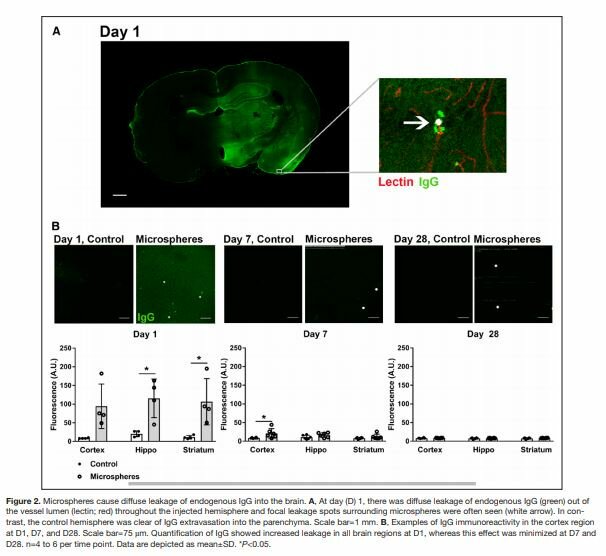 However, little is known about its neuroprotective effects during acute ischemic injury. Singh R-J, Chakraborty D, Dey S, Ganesh A, Al Sultan AS, Eesa M, et al. Intraluminal Thrombi in the Cervico-Cephalic Arteries: Clinical-Imaging Manifestations, Treatment Strategies, and Outcome. Stroke. 2018;50:357–364. With the increased imaging of the head and neck vasculature as part routine stroke/TIA workup, diagnosis of intraluminal thrombus (ILT) has become more common. The presence of ILT in the cervico-cephalic vasculature in patients with TIA or stroke poses a diagnostic and therapeutic challenge. In this study, Singh et al. report the clinical and imaging manifestation of ILT and provide recommendations on therapeutic options. The study was conducted at the University of Calgary. Patients with suspected TIA or stroke between April 2015 and September 2017 were included in these analyses. Diagnosis of ILT was made by CTA of the head and neck performed routinely on admission, which was evaluated by a neuroradiologist, once the diagnosis of ILT was made, it was confirmed by a second neuroradioloigst. A total of 3750 patients were evaluated during the study period; ILT was identified in 61 patients (1.6%). Median age was 67 years (IQR, 56-73); 40 (65.6%) patients were men. Patients with ILT had high prevalence of hypertension, smoking and dyslipidemia (47.5%, 44.3%, and 41% respectively). The most common presentation was ischemic stroke (80.3%), and most strokes were mild with median NIHSS of 2 (IQR, 1-4). The most common location of ILT was extracranial internal carotid artery (65.6%), followed by extracranial vertebral artery (11.2%). The most common cause of ILT was atherosclerosis in the affected artery (82 %) manifested by ulcerated plaque with or without luminal stenosis. Ulcerated plaque was identified in 6.6% of patients only. 51/61 (83.6%) were found to have ≥50% underlying stenosis, arterial dissection was identified in 6.6% of cases and 1 patient (1.6%) had cardio-embolic etiology. Hackam DG, Spence JD. Antiplatelet Therapy in Ischaemic Stroke and Transient Ischaemic Attack. Stroke. 2019; 50:773–778. Antiplatelet therapy reduces the burden of recurrent vascular events in patients with non-cardioembolic ischaemic stroke or TIA and the authors present an overview of major trials. The IST and CAST studies, conducted over 20 years ago, highlight the benefits of aspirin in the acute setting and the benefits of aspirin in the longer term are demonstrated by the Antithrombotic Trialists’ Collaboration. It was later shown that aspirin and dipyridamole in combination is more effective than aspirin alone, with most data coming from the ESPS-2 and ESPRIT studies, although dipyridamole requires twice daily dosing and many patients develop headache. The PRoFESS trial shows rates of recurrent stroke are similar with clopidogrel compared to aspirin and dipyridamole, although clopidogrel has once-daily dosing and fewer patients develop headache. The landmark CHANCE and POINT trials demonstrate that DAPT with clopidogrel and aspirin reduces the risk of stroke and vascular events in patients with high-risk TIA or minor stroke compared to aspirin alone and the benefit is confined to the early period. This may explain why longer-term trials of DAPT (MATCH, SPS3 and CHARISMA) found no benefit. The SOCRATES trial found that DAPT with ticagrelor and aspirin is not superior to aspirin in reducing vascular events, although ticagrelor shows a strong trend toward reduced stroke in the acute setting and is more efficacious in patients with large artery disease or patients already taking aspirin. The THALES trial is studying ticagrelor in this context and will help to better define the role of ticagrelor in acute stroke. Importantly, we can reduce the risk of haemorrhage associated with antiplatelet therapy by effectively managing bleeding risk factors, including blood pressure control, treatment of Helicobacter pylori infection and proton pump inhibitors for high risk patients. Kaesmacher J, Chaloulos-Iakovidis P, Panos L, Mordasini P, Michel P, Hajdu SD, et al. Mechanical Thrombectomy in Ischemic Stroke Patients With Alberta Stroke Program Early Computed Tomography Score 0-5. Stroke. 2019;50:880-888. Early and successful reperfusion leads to favourable outcome among patients with stroke having intracranial large artery occlusion. However, restoring blood flow to an infarcted tissue has a potential to induce reperfusion injury-related complications manifesting by development of malignant edema, intracerebral hemorrhage (ICH) or both. The risk is greater among those with larger pre-treatment infarct size, which is frequently defined using low ASPECTS scores (<6) or large cores (for example, >70-100 ml) on blood-flow imaging (CT/MR perfusion). Due to safety concerns, these patients were excluded from recent endovascular thrombectomy (EVT) trials. Contrary to general perception, recent literature demonstrates good safety of EVT in these patients and work by Kaesmacher et al1 is further addition to EVT safety and efficacy data in this group. From a multicenter registry (BEYOND-SWIFT; N=2046), authors identified 237 patients who had ASPECTS 0-5 and underwent EVT. Overall, nearly equal proportion of patients had favorable outcome (mRS 0-3) and death (40.1% and 40.9%, respectively). Obviously, these patients had lower rates of favorable outcome than the group with ASPECTS 6-10 (40.1 vs 61.2%; P<0.001) and also had higher mortality (40.9 vs 21.2%; P<0.001), however, authors demonstrated no safety concerns of EVT with respect to rates of symptomatic ICH (7.2% vs 6.0%; P=0.466). 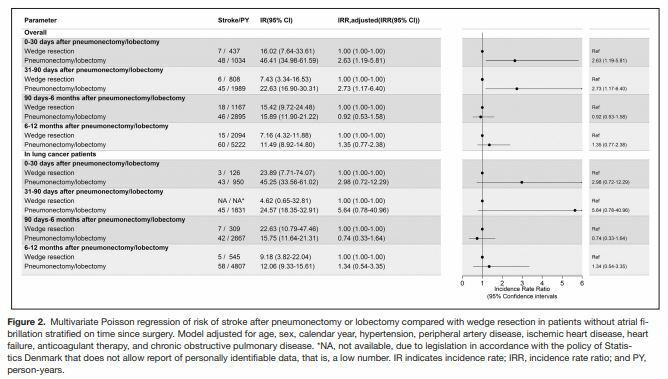 The effect on all outcomes was clearly influenced by achievement of the successful reperfusion (TICI 2b/3), presence of which resulted in higher rates of favorable outcome, lower mortality and lower symptomatic ICH rates. On further inspection of the data, functional benefits were predominantly observed in ASPECTS 5 patients, nonetheless, mortality benefits were still observed in those with further lower ASPECTS scores (4 or even 0-3 group) when successful reperfusion was achieved. Patients with ASPECTS 0-5 had longer procedure duration (groin puncture to reperfusion), lower successful reperfusion rates and higher frequency of procedural complications during EVT than ASPECTS 6-10 patients. Larger clot burden and higher cervical artery dissection rates leading to procedural challenges might be few of the explanations for this observation.